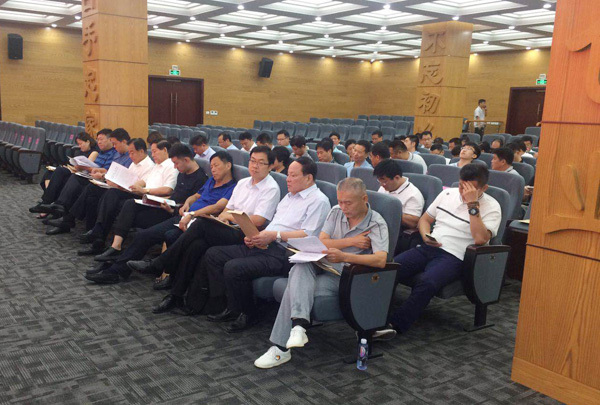 Oh the morning of August 15th, the meeting of the Third Standing Committee of the 13th Jining Federation of Industry and Commerce (General Chamber of Commerce) and the “Double-Trigger Double-Leading” Promotion Work Conference was held. Member of the Standing Committee of the Jining Municipal Committee and Minister of the United Front Work Department Bai Shan, Chairman of the Jining City Federation of Industry and Commerce and Director of the Ethnic and Religious Affairs Bureau Li Kexue, Vice Chairman of Jining City Federation of Industry and Commerce Wang Chengyu, Deputy Secretary Of Qufu Municipal Party Committee And Mayor Peng Zhaohui attended the meeting. Chairman and General Manager of Shandong China Transport Qu Qing, attended the meeting as the vice president of the Jining City Chamber of Commerce and the 13th Executive Committee of the Jining City Federation of Industry and Commerce. The conference first convened the meeting of the Third Chairman of the 13th Jining Federation of Industry and Commerce (General Chamber of Commerce), chaired by Chairman of the Jining City Federation of Industry and Commerce and Director of the Ethnic and Religious Affairs Bureau Li Kexue. The meeting reviewed and approved the draft schedule and schedule of the three sessions of the thirteenth Standing Committee, examined and approved the speech of Chairman Li Kexue at the meeting of the three sessions of the thirteenth Standing Committee, discussed and approved the "Jining City Federation of Industry and Commerce (General Chamber of Commerce) Entrepreneur Vice President (Vice President) Rotation System" and the "Jining City Federation of Industry and Commerce Executive Committee and Standing Committee members of the mid-term adjustment measures". The meeting aslo discussed and passed the decision on personnel matters (draft). 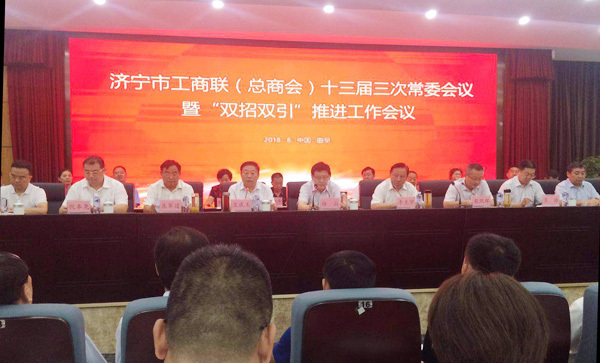 After the chairman's meeting, the meeting of the Third Standing Committee of the 13th Jining Federation of Industry and Commerce (General Chamber of Commerce) and the “Double-Trigger Double-Leading” Promotion Work Conference was held, chaired by Vice Chairman of Jining City Federation of Industry and Commerce Wang Chengyu. At the meeting, Deputy Secretary of the Qufu Municipal Party Committee Peng Zhaohui, addressed the conference and congratulated the smooth convening of the conference. Chairman of the Municipal Federation of Industry and Commerce and Director of the Ethnic and Religious Affairs Bureau Li Kexue, summed up the completion of the work of the city's industrial and commercial association system in the first half of 2018, arranged the task of deploying the second half of 2018 and made recommendations on how to do a good job in the city's industrial and commercial association system in the next year. At the meeting, Member of the Standing Committee of the Jining Municipal Committee and Minister of the United Front Department Baishan, made an important speech. 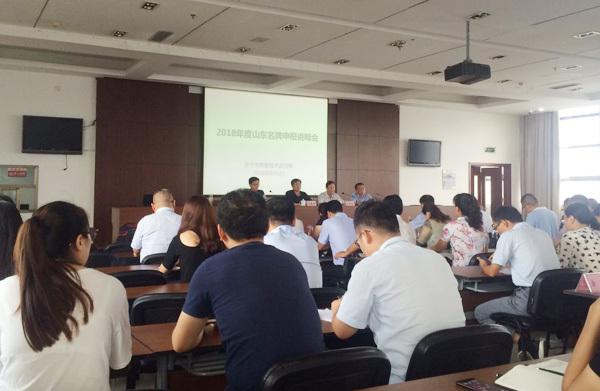 Baishan fully affirmed the work results of the city's industrial and commercial association in the first half of 2018. Regarding the work in the second half of 2018, he stressed that all levels of industry and commerce associations should focus on the overall situation of the city center, give full play to their own advantages, perform their duties and take the initiative to enhance their sense of responsibility and mission in the work of the Federation of Industry and Commerce. All levels of industry and commerce associations should adhere to the principle of doing things first, optimize the environment, and promote the healthy development of the non-public economy; strengthen guidance and promote the healthy growth of non-public economic people; vigorously serve the real economy and help enterprises achieve healthy development in transformation and upgrading. Then, the meeting reviewed and approved the decision on the personnel matters (draft), and the researcher of the Municipal Science and Technology Bureau Song Hongtai, interpreted the science and technology policy. In recent years, under the leadership of Chairman Qu Qing, Shandong China Transport has actively responded to the country's acceleration of the promotion of new strategic strategies for the conversion of new and old kinetic energy, fully promote enterprise transformation and upgrading. Group invested 230 million yuan to build the China Coal E-commerce Industrial Park, vigorously develop enterprise e-commerce and cross-border e-commerce, and become an industry model for the successful transformation of traditional enterprises through the e-commerce information industry. Group has been listed as the Ministry of Industry and Information Technology, the Ministry of Commerce's e-commerce innovation demonstration enterprise, the Shandong Province's two-in-one deep integration special action plan key project, and the Jining City informationization demonstration project.